The medical industry has come to realize that getting healthy and staying healthy means paying attention to the gut, and the gut microbiome is quite literally the heart of the matter. For over five years, Mandala Integrative Medicine has been focused on the gut microbiome, researching and developing new ways to solve chronic medical issues and much more. We think the lack of access to health experts such are those at our offices has been considered by many to be reserved for the wealthy few and is both unfair and an untapped market. Mandala has been developing a technology solution that will put anyone in need in touch with help. Recent research connects the gut microbiome to everything from heart health to a strong immune system to proper brain function. Few people understand the gut microbiome isn’t about eating right. Everyone’s gut microbiome is different and reacts differently to foods and stress. If you want to invest in a healthier tomorrow, supporting a strong, dynamic company that is addressing the growing need for treating the gut microbiome is a winning strategy. Through extensive research, Mandala has created the world’s first application combining cutting edge technology with the latest on health and wellness practices. The Mandala app allows its users to be in contact with these professionals right from their personal handheld technology anytime and anywhere! Patients will have the ability to speak with a trained, cutting-edge health coach, life coach or even a top physician right from their phone or tablet. Through Mandala’s gut health protocol and the Mandala app, people will have a better understanding how to manage not only their overall gut health, but their overall wellness in real time! From our clinic in Davenport, Iowa, we believe we can change the way this country treats gut health, and we invite you to be a part of that 30 billion dollar revolution. Mandala is offering a unique investment opportunity through our go fund me page. It is our goal to build a platform merging the latest technology and the best medical practice allowing access to treatment for anyone anywhere in the world. One of the reasons you should invest in Mandala is Dr. Shah’s proven business model. He has spent over five years developing a gut health protocol that works for his patients and is profitable! Help Dr. Shah grow his business and start making some money investing in a business model that is already working! More than 1 in 3 Americans were prescribed an opioid in 2015. Addiction has become an increasing health issue and is reaching epidemic levels. But what are the real reasons behind increasing addiction rates? Dr. Sayed Shah provides a new perspective of the science of addiction and gut health, and how through behavior and diet changes can we tackle this formidable challenge. 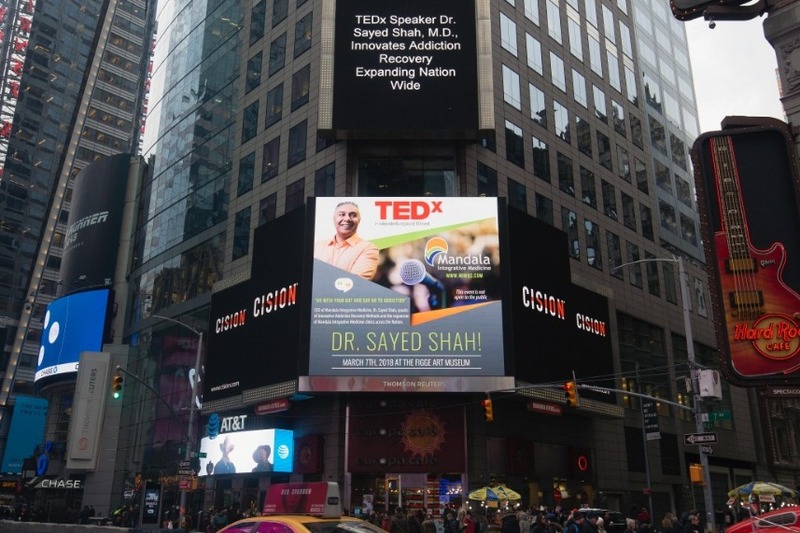 Dr. Sayed A. Shah is an integrative medicine expert. His personal journey started when his son was diagnosed with Autism. He has utilized research and practices in integrative medicine to help his son and others to overcome health challenges by treating underlying triggers and root causes of disease rather than just treating symptoms.